One of the best resources for those interested in the book publishing industry is Jeff Herman’s Guide to Book Publishers, Editors and Literary Agents. The 2017 edition is out and it is as good as ever. I highly recommend you consult a copy from New World Library. · An overview of the publishing conglomerates. · Insights on independent presses and university presses. · An introduction to the Canadian book publishing market. · A directory of literary agents. · A listing of independent editors. The Literary Market Place and The Writers Market are also definitive, excellent resources that cover similar ground, but this book comes from a literary agent who knows his stuff. He’s put together over 1,000 deals and has published a number of successful books of his own. · How do publishers find books to publish? · What do agents work for? · How do agents make money? · How do false agents make money? · What’s the Association of Authors Representatives? · What services do agents provide in exchange for their commission? · What won’t agents do as part of their commission? · How do you get an agent? · What else should you know about agents? · Do agents and editors have similar traits? · Who can be an agent? · Do agents make sweetheart deals? · What if an agent offers you representation? · How do you know if your agent is doing a good job? · What if the agent is unable to sell your work? · What will happen to agents as a category over the next several years? · Do agents sell everything they represent? · What’s the typical agent’s sales process and how long does it take? · How do agents find their clients? 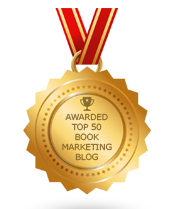 · If you get 20 agent rejections, is it unlikely you’ll get an agent? · How do agents like to work with their clients? · Is it okay to switch agents? · What kind of client do agents dislike? · How come rejection letters are generic? See what I mean. He’s thorough and cuts to the issues that writers need answers on. The publishing process has become more complex and simpler. Big 5, indi-press, university press, self-publish, hybrid, POD, e-book only…the options can be mind-boggling. So many books are being published but each book is selling fewer copies, on average, than books used to. Authors need to determine how they want to be published and then to determine the best provider for that path. If one determines he or she wants to be published – not be the publisher – he has to find a literary agent or find a way to solicit the editorial departments of publishers. No matter how one gets published, the author takes on the heavy lifting to promote his or her book. So what if someone tries but fails to get a literary agent? “Fortunately, there are ways to get access to editors and get published even if you don’t have an agent,” writes Herman. “Here’s a big secret: publishers actually will consider unagented/unsolicited submissions, but they don’t want you to know that. In fact, they may not even know it. Remember this; the rule exists for their convenience, not yours. If you rigidly follow their rules, you’re only serving them, not yourself. It’s reasonable for you to consider ways to bypass the rule. Ironically your success will also be the publisher’s success it’s a win-win." So how does one go forward in such a situation? He says you should appoint yourself as your agent. Start cold-calling publishers and seek to get the name of the right editor that your manuscript or query needs to get to. Know what editors do and look to serve their needs.